New condition in White Package. Trending at $309.33Trending price is based on prices over last 90 days. Trending at $111.65Trending price is based on prices over last 90 days. Trending at $449.89Trending price is based on prices over last 90 days. Trending at $254.99Trending price is based on prices over last 90 days. Trending at $193.39Trending price is based on prices over last 90 days. Trending at $99.99Trending price is based on prices over last 90 days. 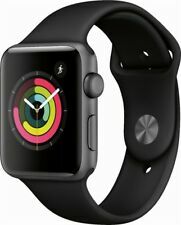 Apple Watch Series 3 42mm Space Gray Aluminium Case with Black Sport Band ~! 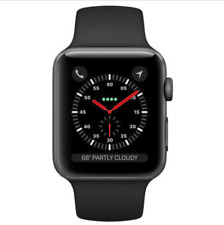 420 product ratings - Apple Watch Series 3 42mm Space Gray Aluminium Case with Black Sport Band ~! This page was last updated: 19-Apr 11:50. Number of bids and bid amounts may be slightly out of date. See each listing for international shipping options and costs.